Enjoy your ashtray almost as much as you enjoy your cigars with this three cigar holder ashtray from Ashton. 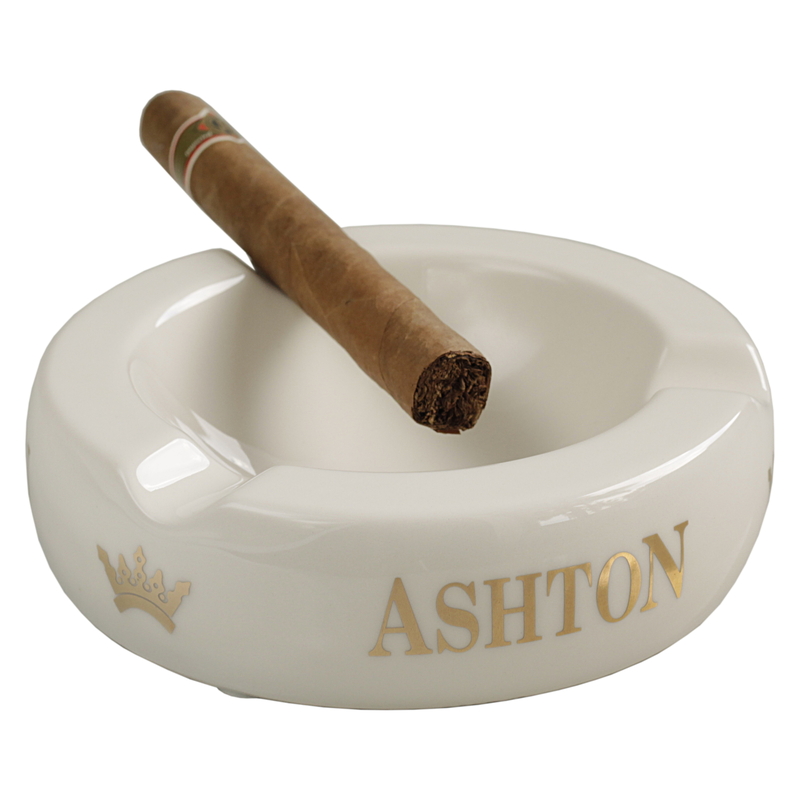 This ashtray is made from glossy, off-white ceramic with a gold Ashton logo and emblem. It features non-scratch pads so it will not slide around and damage your table or countertops. This white ceramic ashtray features a deep dish so ashes stay where they are supposed to, and has three spots for your favorite cigars to rest. Easy to clean, this ashtray is durable and great for entertaining.